A Dish Network Corp. field service specialist installs a satellite television system at a residence in Downey, California, U.S., on Tuesday, Nov. 3, 2015. DISH Network Corp. could face up to $24 billion in fines for violating national Do-Not-Call registry laws, NBC News reported. The company is on trial in Illinois, where a U.S. district court judge is hearing the case without a jury. A number of state attorneys general joined the U.S. Department of Justice and Federal Trade Commission in a 2009 lawsuit, accusing DISH of being responsible for more than 57 million unwanted telemarketing calls. 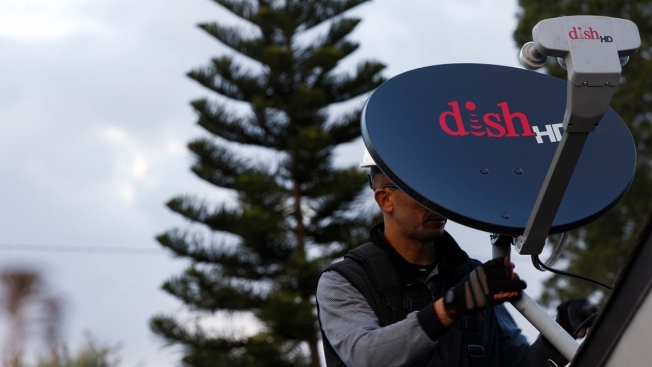 The lawsuit claims DISH and its vendors violated various state statutes by hiring third-party vendors who called numbers on the Do-Not-Call registry list. Violations that took place before February 2009 could lead to $11,000 in fines per violation. Anything after that date could cost up to $16,000 per violation.